The Marple Newtown Community Band rehearses (and sometimes performs) at Beth Israel of Media. The band also regularly performs at local senior communities, area events, parades, and minor-league baseball games. — Middletown Presbyterian Church, Saturday, March 9, 2019, 5:00 p.m. – 8:00 p.m.
— Beth Israel of Media: Saturday, May 18, 7:00 p.m. The Marple Newtown Community Band is a non-profit, all-volunteer musical organization that rehearses (and sometimes performs) at Beth Israel of Media. The band also regularly performs at local senior communities, area events, parades, and minor-league baseball games. 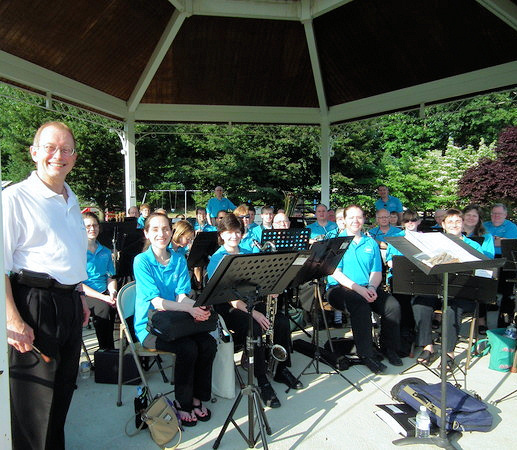 The Marple Newtown Community Band was formed in June of 1996 under the steady direction of Larry McGriff. Mr. McGriff would later pursue other interests, making way at the podium for Matthew H. Phillips. Our current conductor is Anthony Wastler.